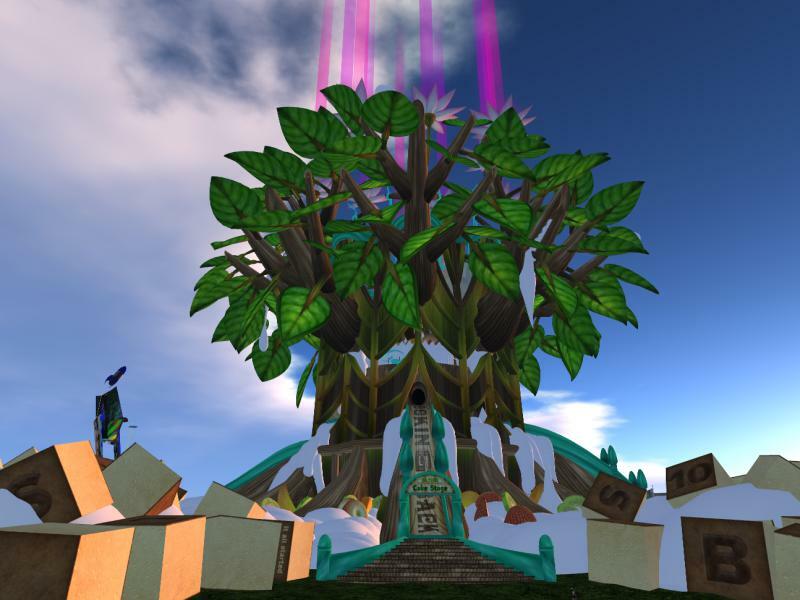 Join us at the SL10B Community Celebration for the Closing Ceremony on Saturday 29th June! 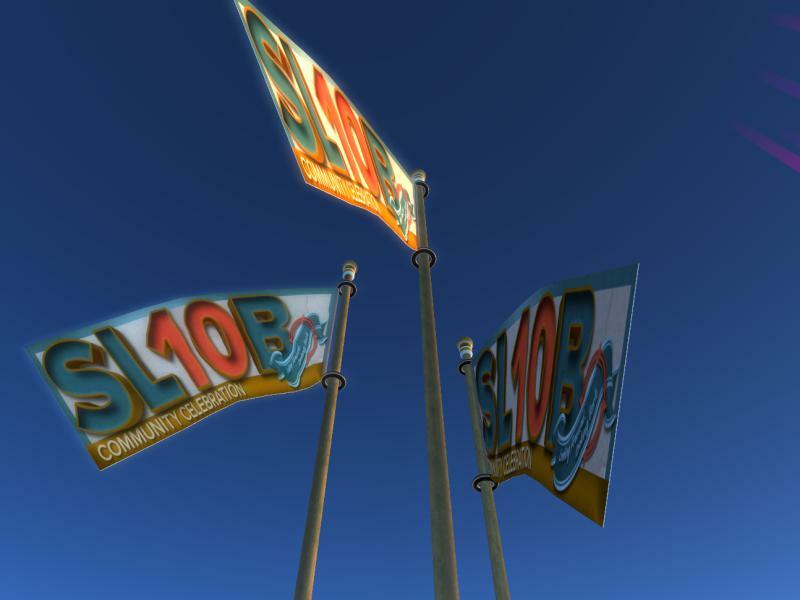 Two weeks ago, the flags were raised to signify that the SL10B Community Celebration was open. Now, two weeks later, the event is coming to an end and the flags will be lowered at 12 noon on Saturday 29th June. Once again, the idea is that as many people as possible can watch the flags lowered, marking the end of the Celebration. 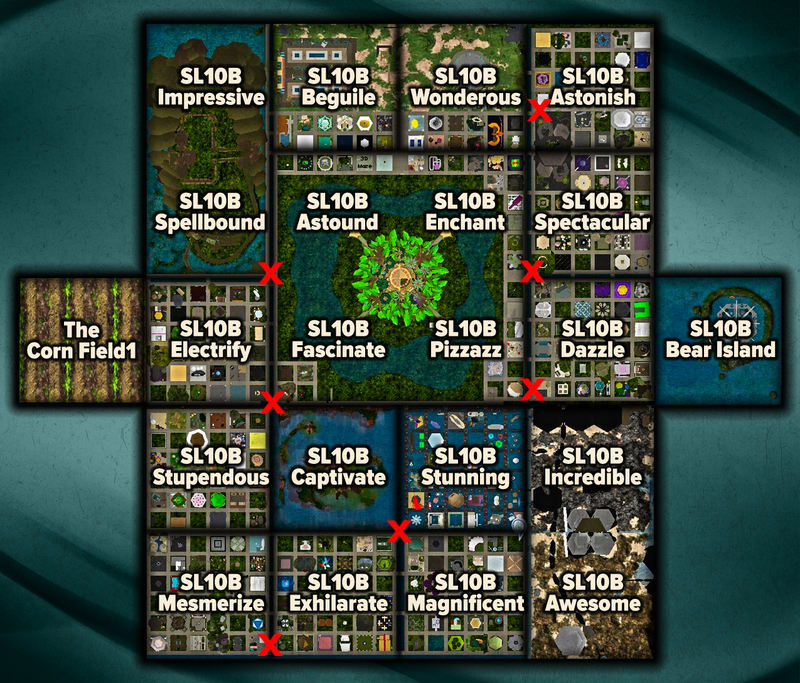 The flags are stationed around the sims (you can see their locations marked with red X‘s on the map below). You don’t have to land right on top of a flag (that would be rather painful!). The idea is to land close – you’ll be able to find a spot where you can see the flags lifting! Following the flag ceremony, there will be fireworks (organised by Marianne McCann) at the gorgeous Cake Stage (which will be viewable from many points). 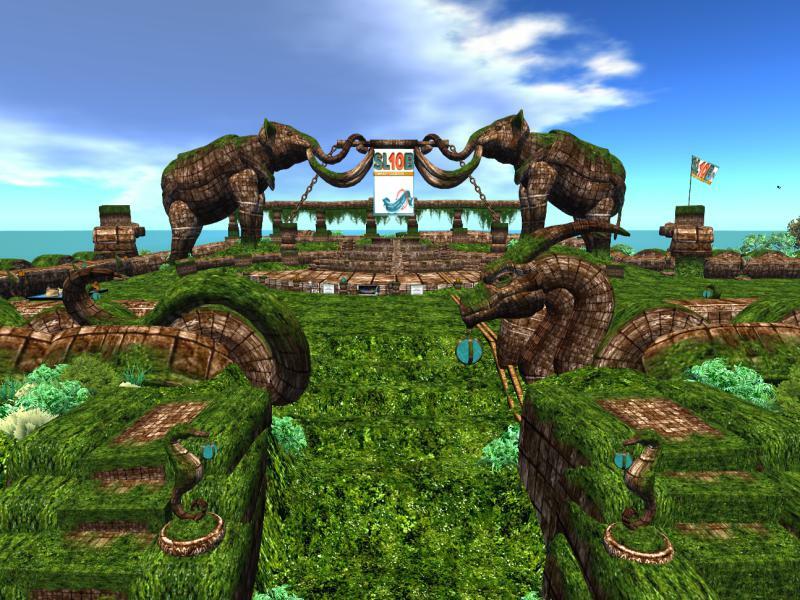 And to round off events, from 1pm – 9pm SLT, there will be a party on the fabulous Turtle Stage on SL10B Impressive and SL10B Spellbound. Details of the DJs who’ll be performing will be published soon. So come and join us for the Closing of Second Life’s 10th Birthday Community Celebrations – and then stay to enjoy the party!